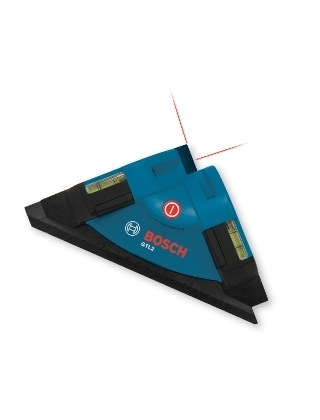 The Bosch GTL 2 Projects Horizontal and Vertical Laser "Chalk Lines" on surfaces. It's ideal for floors, tiles, paneling, wall fixtures, wallpapering, stenciling, wainscoting, finish carpentry, outlet switches, lighting fixtures, wall studs, partitions and more. Dimensions	7.13" x 7.05" x 2.1"